Alberto Contador loves the trend toward short, mountainous grand tour stages. He also wants power meters banned from racing. TUCSON, Arizona (VN) — Speaking to journalists on a wide range of topics at the Polartec-Kometa team camp, Alberto Contador applauded the Tour de France for embracing the shorter stage format that has become popular to spice up grand tours. 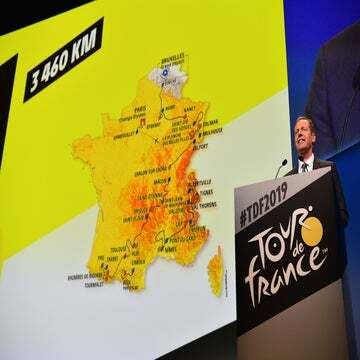 “When we have shorter stages it is easier for more people to attack and break a very strong team,” Contador said when asked about the 65-kilometer stage 17 across three Pyrenean mountains in the 2018 Tour. The 2017 Tour included a 101km route on stage 13 and Contador attacked straight from the beginning. Although he didn’t win, many hailed the race as the Tour’s most exciting stage. The Spaniard also reiterated his belief that power meters should be banned in racing. When Team Sky’s dominance was addressed in the Q&A session, Contador said he believed its riders are beatable. “One thing for cycling is that every year there is more mathematics, but you cannot control everything, especially in the final,” Contador said. “We are all persons and can have some problems or bad days. UCI President David Lappartient has also suggested that a salary cap would benefit cycling. The seven-time grand tour winner Contador has no regrets when reflecting on his 15-year pro career, but he admitted he had looked forward to retirement. Although, he joked he has been traveling more than when he was a racer, leaving little time to relax. After riding with his team in Tucson, he attended the Giro d’Italia’s 2018 route presentation in Milan. Interestingly, that race eschews the short, mountainous stages Contador favors, but perhaps he had a chance to bend the ear of race director Mauro Vegni during his visit to Italy. 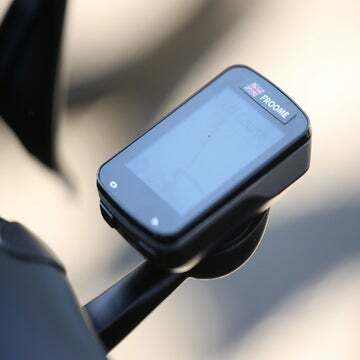 Podcast: Tour route analysis; should power meters be banned?